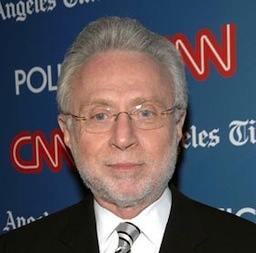 CNN's ubiquitous Wolf Blitzer has re-upped for another four years but will be relinquishing his Sunday morning public affairs program to John King. Blitzer's The Situation Room will remain in place from 3 to 6 p.m. (central) weekdays, still giving him ample face time on a network he joined in 1990. King, an 11-year CNN veteran whose "Magic Wall" electoral maps brought him to further prominence during the election, will preside over a four-hour Sunday morning news bloc (8 a.m. to noon) scheduled to launch in January. "We are reinventing Sunday mornings around the best political reporter of his generation," CNN/U.S. president Jon Klein said of King. The CNN shakeup became official on the day after NBC officially named David Gregory as the new moderator of Sunday morning's reigning gold standard, Meet the Press. King, 44, Gregory, 38 and ABC's incumbent This Week moderator, George Stephanopoulos, 47, are all roughly of the same generation. They'll be going against older hands Bob Schieffer, 71 of CBS' Face The Nation, and Chris Wallace, 61, in the new Sunday morning scheme of things. 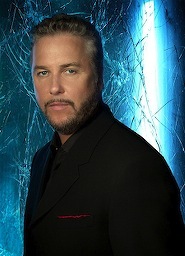 ***William Petersen will make his planned exit from CBS' CSI: Crime Scene Investigation on the Jan. 15th episode, the network has announced. He's played forensic department head Gil Grissom since the show's premiere in fall 2000. Petersen's replacement, Laurence Fishburne as criminal pathologist Raymond Langston, makes his CSI debut on Thursday, Dec. 11. He'll team with Grissom to track a serial killer. ***VH1's latest reality concoction, Confessions of a Teen Idol, will put seven faded heartthrobs "under the guidance" of Scott Baio among others, if you can fathom that. Competing to "make their way back into the limelight" -- although for some of these guys it was never more than lemon-light -- are Christopher Atkins, Adrian Zmed, Billy Hufsey, Jeremy Jackson, Eric Nies, David Chokachi and Jamie Walters. Anyone who can name all of their claims to fame -- I sure couldn't -- should be VH1's next programming head. The thing premieres on Jan. 4th.